Calculating the pros and cons is a time-honored method for making analytical decisions but focusing too much on numberscalculations, especially those involving money, can lead to negative consequences, including social and moral transgressions, says a new paper. Based on several experiments, researchers concluded that people in a "calculative mindset" as a result of number-crunching are more likely to analyze non-numerical problems mathematically and not take into account social, moral or interpersonal factors. Participants in a set of experiments displayed significantly more selfish behavior in games where they could opt to promote their self-interest over a stranger's after exposure to a lesson on a calculative economics concept. Participants who were instead given a history lesson on the industrial revolution were less likely to behave selfishly in the subsequent games. A similar but lesser effect was found when participants were first asked to solve math problems instead of verbal problems before playing the games. Furthermore, the effect could potentially be reduced by making non-numerical values more prominent. The study showed less self-interested behavior when participants were shown pictures of families after calculations. The results may provide further insight into why economics students have shown more self-interested behavior in previous studies examining whether business or economics education contributes to unethical corporate activity, the researchers wrote. 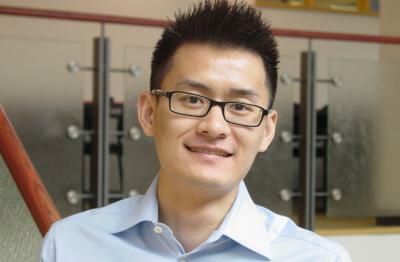 "Performing calculations, whether related to money or not, seemed to encourage people to engage in unethical behaviors to better themselves," says Chen-Bo Zhong, an associate professor of organizational behavior and human resource management at the Rotman School, who co-authored the study with Long Wang of City University of Hong Kong and J. Keith Murnighan from Northwestern University's Kellogg School of Management.